Bookmark this page for daily scopes! tarot horoscopes are updated daily. Press Ctrl-D to bookmark this page. Simply put: Our tarot experts draw one card for every sign, for every day of the year. These daily tarotscopes merge tarot insight and tarot interpretation with daily horoscopes. Each day, a tarot card is drawn for each of the twelve signs of the zodiac. Bookmark this page to check your zodiac sign's free tarot horoscope every day. How does a free tarotscope differ from a regular tarot reading? 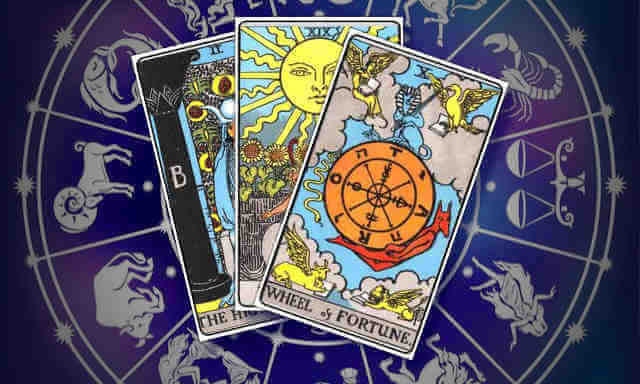 Tarot horoscopes are neither as specific nor as detailed as a traditional tarot reading which uses tarot spread. Daily tarot horoscopes should be seen as general advice similar to a horoscope. It's also important to keep in mind the relative signs indicated by each card. When a minor arcana card is drawn for your tarot horoscope, it may also be referencing the importance of another sign in your day. Keep in mind that the sign of cups is associated with the element of water, and the signs of Cancer, Scorpio and Pisces. The tarot card suit of pentacles is associated with the element of earth, and the zodiac signs of Taurus, Virgo and Capricorn. The tarot suit of swords is associated with the element of air, and the astrological signs of Gemini, Libra and Aquarius. And the tarot suit of wands is associated with the element fire and the sun signs of Aries, Leo and Sagittarius. While your daily tarot horoscope may be referencing the related element, related astrological sign greater meaning of the card, it may also be referencing the meanings contained in the suit itself. Tarot suit of Cups: Feelings, emotional issues, love, relationships. Tarot suit of Pentacles: Health, finances and the material world. Tarot suit of Swords: Decision making, communication, logical thought and analysis. Tarot suit of Wands: Passion, creativity, inspiration, action. One tarot card. Many meanings. 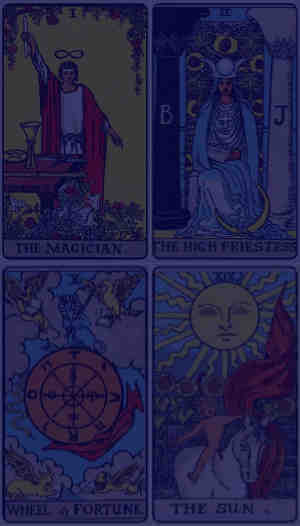 As you can see, there are a lot of potential meanings associated with each daily tarot card. If the direct meaning of the card doesn't make immediate sense to your day or your situation, the meaning and the message may be hidden in its more esoteric meanings from related elements, astrological signs, suit meanings or the visual imagery on the card. Lastly, don't be afraid to accept literal interpretations or direct interpretations based on visual imagery. As many readers have said: Sometimes a bird is just a bird. If you are seeking guidance for a specific question about your life, romantic relationships, career forecast -- or questions about money or health -- use the free tarot reading applications here on iFate instead. Don't forget to take a look at iFate's award winning, free daily horoscopes. If you're a fan of ancient Asian wisdom, don't forget to try our popular, daily I Ching Horoscopes as well.